Dispersion is a turnkey solutions studio, offering mechanical, electrical, and design services. We design and build illumination systems for art, architecture, landscapes, experiential environments, and everyday objects. 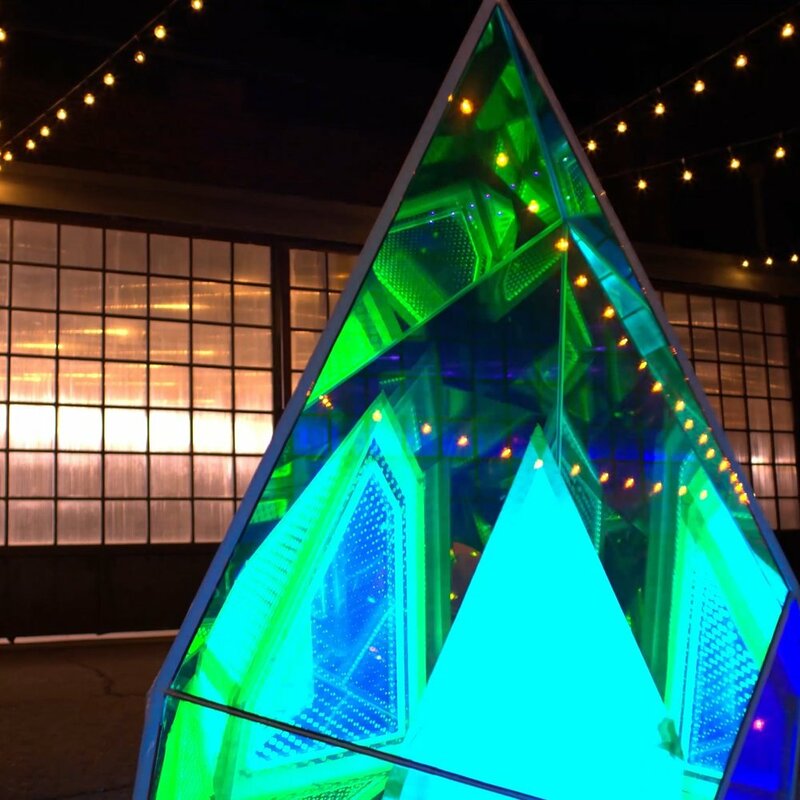 We take public and sculptural art to the next level by integrating LED lighting within existing and new pieces. We work side-by-side with artists and fabricators to realize their vision while keeping just within the bounds of what's possible with current technology. Illumination of the built environment is undergoing a dramatic shift. Dispersion is a leader in this advancement providing bars, restaurants, and other public venues with new experiences for their guests using dynamic LED lighting. From branded environments to new experiences - our illumination systems create vibrant and emotionally provocative spaces. In today's screen fed society, it takes more than images to capture consumer attention. Our advanced LED systems are integrated, dynamic, and responsive. New LED form factors allow for light to be distributed linearly, in an array format, or wrapped around, in, and through objects. 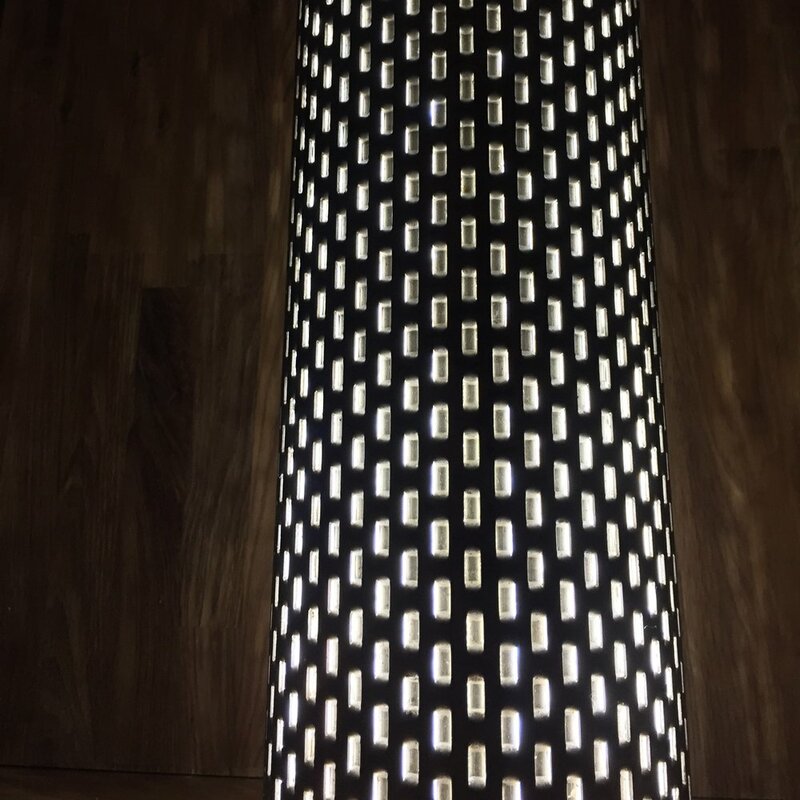 The primary form factor that Dispersion uses are “LED strips.” These flexible circuit boards are constructed with LEDs mounted along their length and provide the circuitry required for power and control. LED strips are commonly IP65- or IP67-rated, allowing for integration in robust outdoor applications. Pixel-controlled LED strip allows for dynamic light. With RGBW (Red, Green, Blue, White) LEDs, there are millions of colors available, and with pixel-controlled systems each individual pixel of light can be any one of these colors at any given moment. The newest of these technologies allows for the most elegant, subtle changes in light possible. Dispersion’s custom drivers are intelligent systems, outfitted with a wide variety of sensors and often a connection to the Internet. These drivers allow for a nearly unlimited source of inputs and provide computing power to interpret and incorporate local and global data. Beyond direct interaction, Dispersion’s systems have the ability to be responsive systems. These systems have the ability to respond to human presence in a wide gamut of ways. Imagine a light fixture that glows with more red color during a stock market downswing or more green for a bullish market, or a system in an interior room that mimics cloud patterns on a cloudy day. With sensor technologies and a connection to the web, Dispersion’s products allow interaction ranging from mobile devices to body movements. And rather than just turning light on and off or affecting the brightness, the user has the ability to affect color, pattern, mode, and more. We've worked on 21st century outdoor classrooms, experiential and interactive environments, as well as sensor integration in big box retailers (shhh). We know a thing or two about creating bespoke experiences with sculptures, objects, and spaces. We create intoxicating environments made up of responsive pixel-controlled LED lights creatively integrated into robust and time-tested materials. Our works come to life, beckoning touch and interaction. Core to our work is finding the best solution to each design challenge. We work with artists, architects, and designers from the start. We look broadly at each project and narrow down our options based on findings from our research, rapid prototyping, and past experience. We are experienced CAD professionals, well versed in design thinking. We're taking our past experiences in designing permanent, large-scale public art to each project we work on, with a focus on long-lasting, robust, and permanent solutions that require little to no maintenance. Going to the grocery store, dropping the kids off at school and heading to work. These things are routine. We create a break in the routine through bespoke experiences that have the ability to change over-time. Our systems can pull data from virtually anywhere to create memorable experiences.